Vintage-hot Tele lead pickup that balances a sweet, musical treble attack with traditional Telecaster twang. 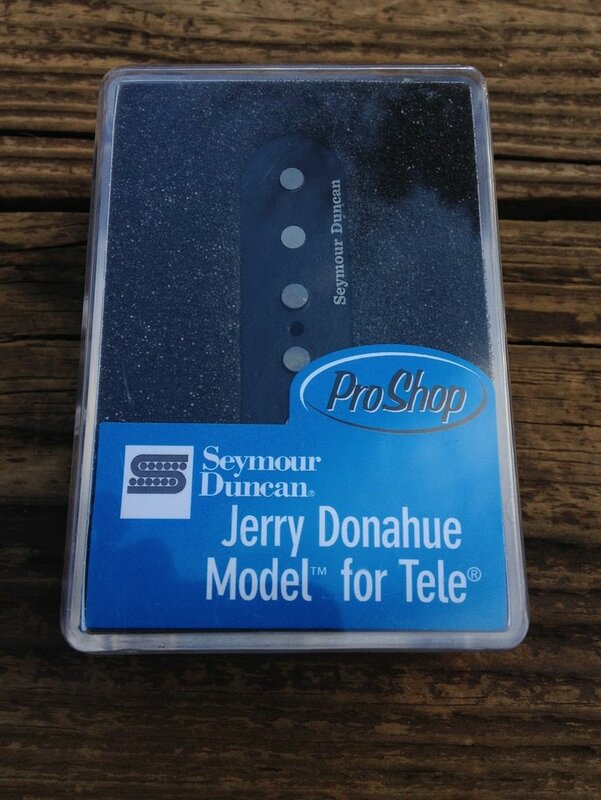 Tele master Jerry Donahue of Hellecasters fame, needed a pickup to make his touring guitars sound like his prized 52 Telecaster. The result is a warm lead pickup that uses alnico 2 rod magnets and a special coil wind for increased sustainability and output. The raised D & G poles mirror the fretboard radius for nice even string response. Single notes are soft, sweet, and musical, while the low notes have just the right amount of articulate Tele snap to balance things out.Pair with our Alnico II Pro Tele – neck The authentic look and sweet sound are brought together by waxed cloth hookup wire, standard .187′ diameter hand ground alnico 2 rod magnets, and a copper plated steel bottom plate. Like all of our pickups, its then potted in our wax formulation for squeal free performance.